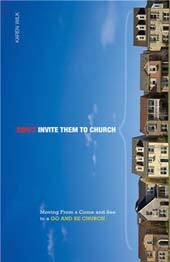 If you love your neighbors, you should invite them to church, right? Wrong. Loving your neighbors isn't about getting them to join you on Sundays. It's about living your faith right where you are and BEING the church to the people around you. This flexible guidebook will help you, your small group, or your church get started in neighborhood ministry and missional living. It includes ideas for group meetings, practices to help you develop a better spiritual life, and real-life ideas for reaching out to your neighborhood. If you really want to know your neighbors and love them like Jesus would, don't invite them to church. BE the church.